Introducing BTS Pro: a new era in Bluetooth wireless music. Lightweight, stylish and packed with groundbreaking features, BTS Pro is designed to help you achieve your personal best. Whether you’re running, cycling, lifting, or traversing the world, they’re always there, always on and always sending unmatched sound to the places that help you push your ambitions to the next level. BTS Pro goes where no Bluetooth headphones have ever gone before. Patented 3D antenna technology propels the BTS Pro well into 100+ feet of wireless range - unheard of in Bluetooth wireless - until now. Incredible range is only the beginning; our advanced rechargeable battery gives you a whopping 40 hours of continuous music playback. And should you find yourself in need more more juice, your cans can go from empty to full in 90 minutes with QuickCharge. 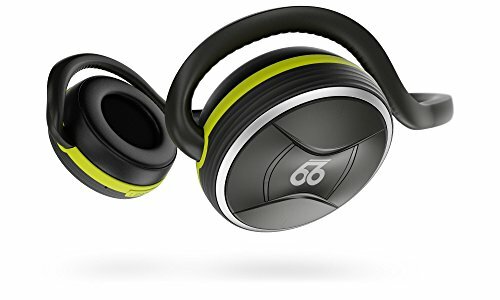 Say goodbye to wireless headphones that last 3 hours. “BTS Pro is a fantastic set of headphones” - Matthew Miller, ZDNet. Music is our muse and we’ve spent countless hours perfecting the acoustics of BTS Pro. Custom 36mm drivers deliver power and clarity that rivals larger, on-ear headphones - without ever distorting your favorite tracks. Get ready to experience your music like it was intended. We’ve also built a revolutionary new mobile app - MotionControl - available for free on iOS, Android and Apple Watch devices. MotionControl features our real-time equalizer giving you the power to dial in your custom sound, while our exclusive “Find My Headphones” and “Last Location” features provide peace of mind should you misplace your headphones. Gorgeous design combines with remarkable technology and reference sound to deliver unparalleled wireless music performance. And its available today from Amazon Launchpad and 66 Audio. NOTE: Kindly refer the Instructional Video from the Image Section before use which is highly recommended. If you have any questions about this product by 66 Audio, contact us by completing and submitting the form below. If you are looking for a specif part number, please include it with your message.